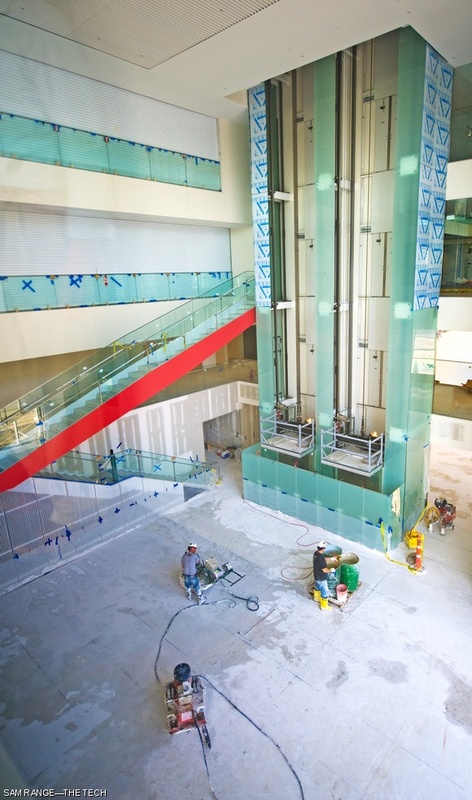 Workers began grinding the marble chunk-infused floor of the Media Lab extension’s central atrium on Nov. 2, which is now polished to a glossy finish. The expanse of interconnected airspaces surrounding the atrium necessitated smoke curtains (left) for emergency air evacuation, shown here closed for testing. The Media Lab extension opened in early December.